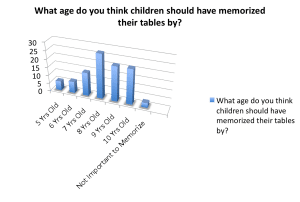 Last week I asked Maths Insider readers to fill a survey about how important learning the times tables is to your family. 71 people responded to the survey. Thanks to everyone who took the time to share their opinions! The winner of the $20 Amazon gift card was Gerda Rutherfoord from South Africa. The results were interesting but I was blown away by the insightful comments that you made in the survey. I’ve shared the results below along with a selection of the great comments! 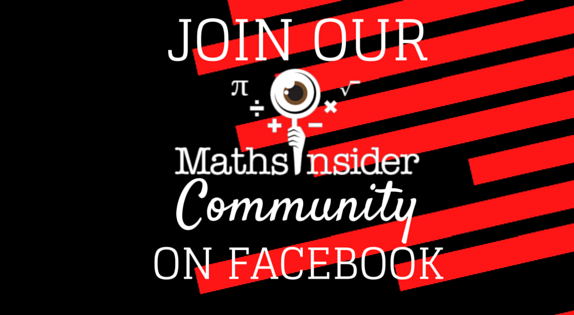 Make sure to sign up to the Maths Insider email list, so you don’t miss next week’s article where I’ll be revealing exactly how you can guide your child to faster, more confident times tables. However by what age? Some were in favour of early memorization: 5% said by 5 years old, 7% by 6years old, 14% by 7 years old. The majority (27%) said by 8 years, 22% by 9 years and a generous 21% by 10 years old. Saying that this is unecessary just because you have a calculator is like saying writing is unnecessary just because you have a word processor. 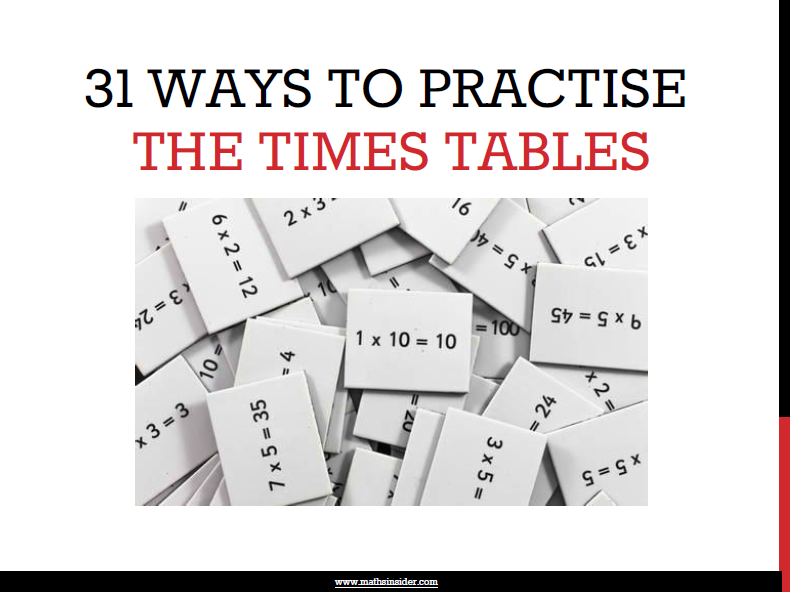 Basic numeracy is a valuable skill and times tables are an essential part of it. 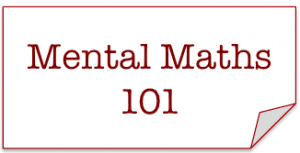 A vital skill to be able to recall multipllication facts. 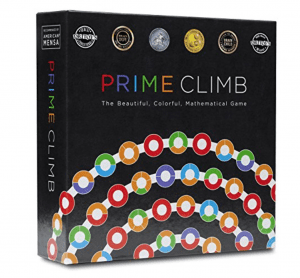 As it is one of the four key mathematical operations, the earlier we can arm our kids with this one, the easier it is for them to move onto higher functions. So valuable. 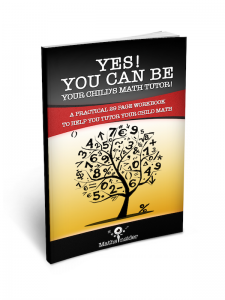 If they don’t know TT they cannot do upper level math with the same ease and fluency. 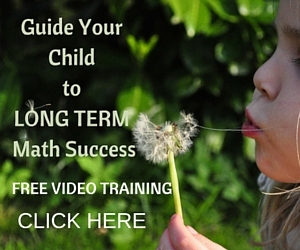 TT is foundation for math! If they were learning them in 3rd grade, we could move on much quicker in 5th. Some things just have to be memorized! I think memorizing the times table is really important because I know (as a teacher) how difficult fractions and algebra are if you can’t mentally factor using the times table (factoring is more critical than multiplying, and it’s harder to do unless you have the times tables memorized). 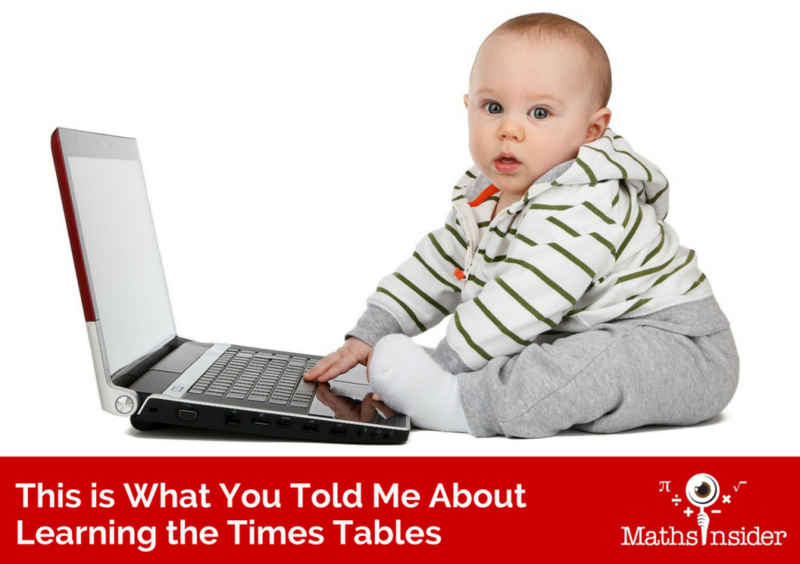 I don’t understand why there would be any question about learning the times tables. Should be required! I believe times tables are important in life (how else do you successfully buy a house, manage finances, shop smartly, or even plan a party? ), but I also believe times tables are satisfying to learn. In school there’s so much graded on subjectivity, at least in learning the times tables kids know there is a right or wrong answer, and once you know all the right answers it’s quite rewarding and satisfying to realize this goal has been achieved. 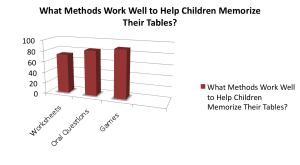 Of course we can all use a calculator, but I think memorizing the times tables can be a confidence booster for kids as well. I think it is critical. I am a senior school maths teacher and still see A level maths students that struggle because they don’t know their tables well enough. They must be memorized thoroughly by the time they get to senior school or will struggle with maths. 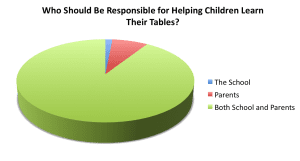 91.5% think that parents and teachers should be jointly responsible for helping children learn their tables. 1.4% think the school should be responsible and 8.5% think parents should be responsible. Our daughter has learning disabilities so it may take her 12-18 months to memorize all times tables, but once learned they will benefit her for the rest of her life. I am appalled that our supposedly high flying school system in Massachusetts places little to no value in memorization of addition and multiplication facts. Schools don’t do enough to teach them. We did lots at home. My kids know them much better than their peers. my mum taight me all my times tables when I was primary age and I am grateful to her for this. Am trying to do the same for my 4 year old and funnily enough my 2 year old is picking it up better than the 4 year old! I don’t think this is stressed enough at school or enough repetition is done with this. 74% think that worksheets work well. 83% think that oral questions work well. 90% think that games work well. In Singapore,the children are taught 2, 5 and 10 tables by end of P1,then 3,and 9 mid P2, 4and6 by end P2 ,8yrs old.and rest after. By ‘taught’ I mean first the text books place huge emphasis on conceptual understanding ie multiplication as repeated addition.So far my daughter has enjoyed learning tables almost ‘naturally.’ parents should also assist for example I put charts up around the house and have played games which have helped I think. Forcing memorization does not help children. They need to know the underlying concepts. I think the online games are fun for kids but my 8 year old agrees that writing out worksheets multiple times works best. I get my best results by tying times tables into games (e.g. football: get one right and score a goal). Learning by song and repeating the tables is the best way. Also having the tables up on the wall as a visual aid is great. I think repetition is important,whether that’s online games or worksheets. 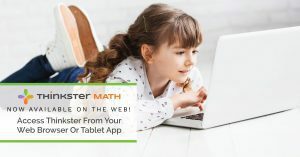 I always found these difficult to memorize as a child (though I understood things well enough that this didn’t cause problems), so I believe multiplication practice should be as fun and low stress as possible. Don’t forget to sign up to catch next week’s “faster times tables” announcement. You and your readers may want to check it out. 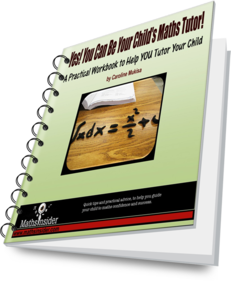 Caroline, thanks for sharing these results with the maths teaching community! It’s gratifying to see that parents who responded all believe that times tables are important, no vital, for their children’s future mathematics mastery. I’m also impressed that your parent responders see it as a joint task for both parents and the school. 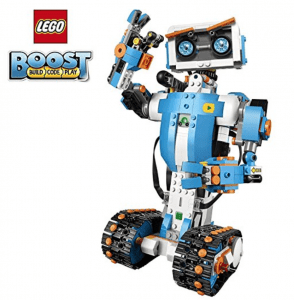 Not all parents seem to take that view, so it’s great to see it supported here on your list.